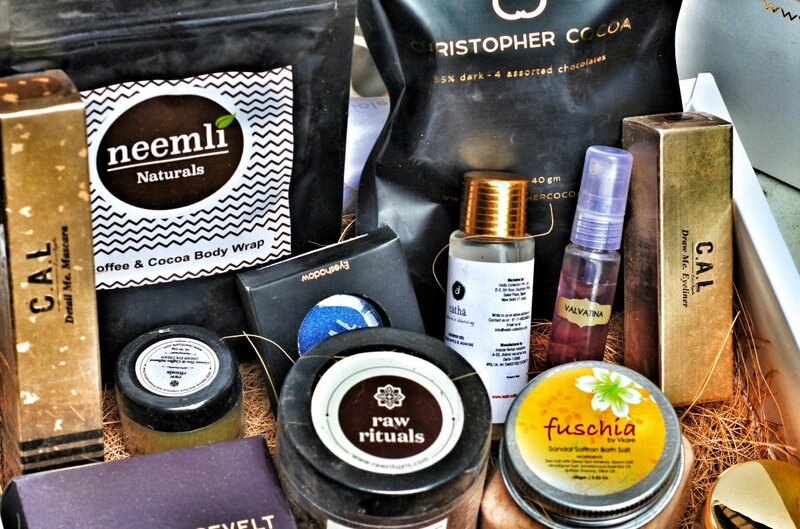 The beauty box has 10 – 12 beauty products from luxury, organic and vegan brand and the brands change every two months, and are curated by celebrities artists (Bollywood Singer Shruti Pathak, Bollywood Designer Archana Kochhar, DJ Shireen), YouTube celebs (Shruti Arjun Anand) & magazines (Savvy). For every ‘Beauty Box’ sold, they donate a months’ period essentials to a girl in need. Their mission is to spread smiles to thousands of girls throughout NGOs in Pune, India. To subscribe to this box please go to www.violetbox.me for more details. 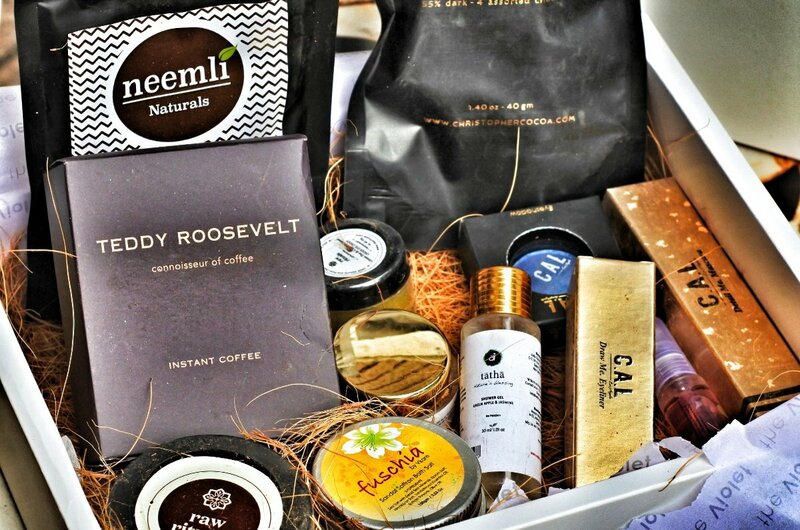 Every two months, the “Day Drinking Box” gets you 60 servings of gourmet tea or coffee from six different brands. The brands are curated by critics & celebrities. Exotic whole leaf teas such as South African Rooibos tea, Chinese Oolong & Puerh Tea, Matcha Tea, Blooming Flower Tea and single origin Arabica bean coffees from the best plantations and brands in the world are featured and the brands change every every months so you will never be bored. For every ‘Day Drinking’ box sold, they will donate a meal to a child. To subscribe to this box please go to www.daydrinking.me for more details. * This item was gifted to me for editorial consideration. Full disclosure policy here. 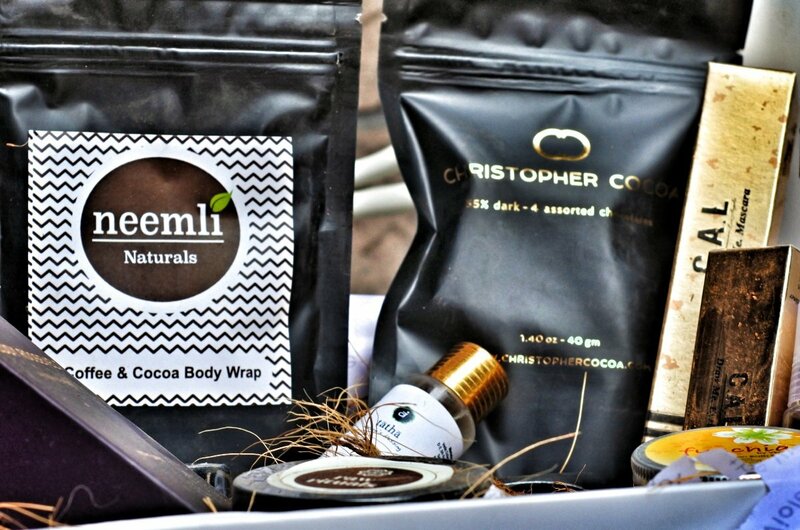 Have you ever tried a gift box subscription before? If so, what kind of things did/do you receive? I’d love to know in the comments below.